ProductCamp Atlanta will be held on Saturday, September 16 from 9:15 AM to 4:30 PM at General Assembly in Ponce City Market. Back by popular demand for 2017! For years, participants have asked how they can personally support ProductCamp Atlanta, beyond simply volunteering their time and talents. So, we've created the "Friends of ProductCamp!" This special membership gets you extra swag - like an awesome, exclusive Friends of ProductCamp golf shirt to wear to ProductCamp events, an invitation to the ProductCamp Atlanta VIP dinner the night before camp and a special "members only" happy hour networking event! ProductCamp is always free to attend, but if you want to show your support in a more personal way, consider joining Friends of ProductCamp! Want one more way to get involved? Consider being a Sponsor! Since you're a practicing product manager or marketer, we’re extending you this invitation before the rest of the folks we know. We’ll be inviting others soon - so please don't wait, and register today! Also, in order to give other motivated Atlanta product managers the opportunity to attend, please do not distribute or post the registration link on social media quite yet. Rest assured, we’ll start tweeting about it when the time is right! Come join the ProductCamp ATL community for a few drinks and networking at Taco Mac Prado. Network. Learn with friends. And . . .
*Bonus* We will be unveiling the ProductCamp 2017 Date and Location! Get in the know before the rest of the crowd. Just mention you're with ProductCamp when you arrive. Come by and say hi! We're getting together on Wednesday, April 19th to just slow down for an hour or so, and enjoy a casual lunch with our peers! There is no presentation, no discussion leader. The purpose is to allow you to meet up with other Product Managers and "talk shop." Meet us at Tacos and Tequlia at 11:45 AM on April 19th, and come spend a bit of time with other product managers, marketers and other professionals in your area! We're getting together on April 19th to just slow down for an hour or so, and enjoy a casual lunch with our peers! There is no presentation, no discussion leader. The purpose is to allow you to meet up with other Product Managers and "talk shop." Meet us at ROOM at Twelve at 11:45 AM on April 19th. ROOM is located inside the Twelve Centennial Park Hotel. The hotel valet is free with purchase at the restaurant. The entrance driveway is located immediately south of the Civic Center MARTA station...the one closest to Ivan Allen is the Exit. Once in the driveway, you will see a sign directing you to turn left for Valet on the pillar at the end of th driveway. The valet stand will be immediately in front of you and the restaurant is just inside the hotel lobby. Tell the valet that you are eating lunch at ROOM and when you pay for lunch our server will validate your valet ticket. There is also hourly parking on West Peachtree or Ivan Allen. MARTA is also always an option. Meet us at Chuy's at 11:45 AM on April 19th, and come spend a bit of time with other product managers, marketers and other professionals in your area! ProductCamp Luncheon Gathering Around Metro Atlanta. Please note the we have moved to the 3rd Wednesday not the 2nd. Thank You. Each month on the 3rd Wednesday, we gather in several locations around Atlanta for an informal lunch gathering. The idea is simple...the relationships you'll form are powerful. You are going to eat lunch. Don't do it alone! Save the date now, and we'll send location options about two weeks in advance of each gathering. No lunch gathering for January. They will resume next Month, on every 3rd Wednesday of each Month. Please look out for the calendar updates shortly. Each month on the 2nd Wednesday, we gather in several locations around Atlanta for an informal lunch gathering. The idea is simple...the relationships you'll form are powerful. ProductCamp 2015 is coming soon. 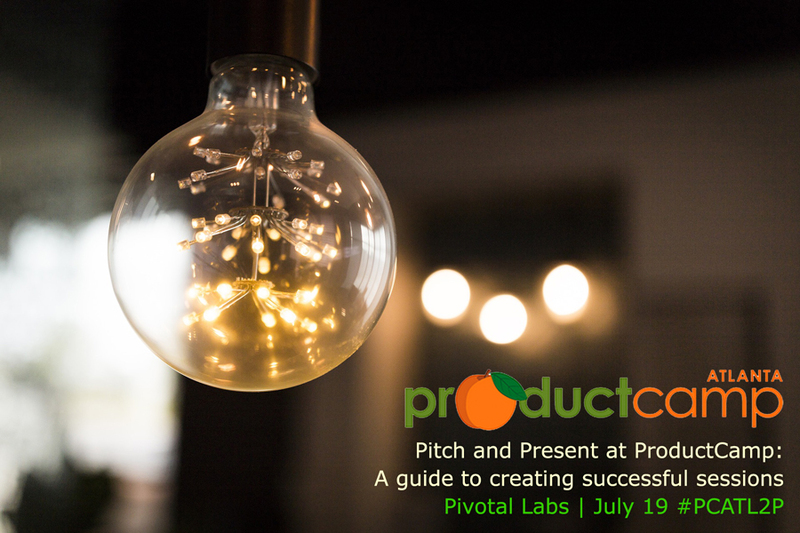 Come join the effort to make this the best ProductCamp ever! Come out and join TAG as the Product Management Society honors some of Atlanta's most notable product managers!